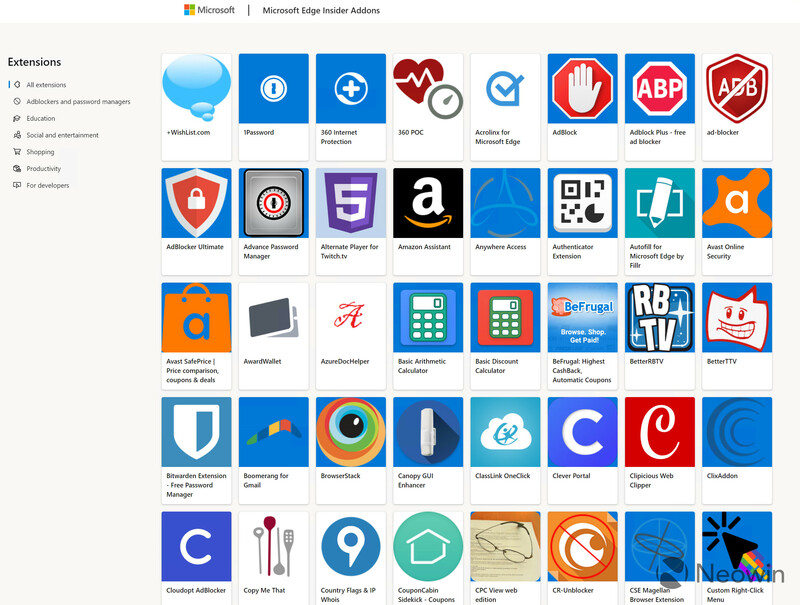 At the end of 2018, Microsoft announced that their Edge browser would go through a significant revamp. From what we are seeing in new leaked screenshots from Neowin, the browser is going to get a new coat of paint thanks to the open-source Chromium project. You might not see it at first, but upon closer inspection, the photos show all the telltale signs of a Chromium-based browser. You can see that the extensions are on the far right of the address bar, followed by a profile picture. The home page also lists frequently visited websites. And the bookmark bar is located below the address bar. These are all design choices based on the Chromium project. 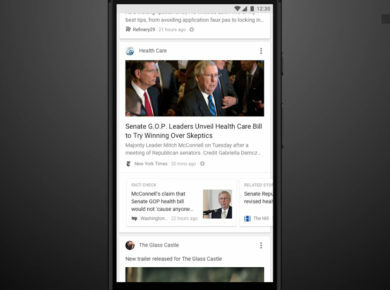 The second screenshot shows that users will be able to choose between a Focused, Inspirational, Informational, or a customized look when setting up their home page news feed. While Microsoft appears to be relying heavily on the Chromium design, they still have plans for their own storefront for extensions. 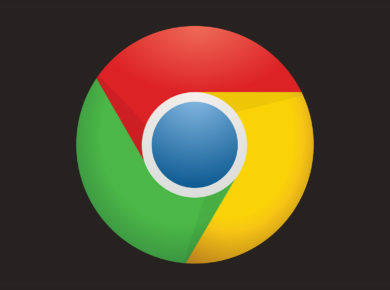 Chrome Store extensions will work with Edge once users enable the option in their browser. According to the leak, there are currently two main channels of the browser, codenamed Anaheim internally. The Canary channel is updated on a daily basis while the dev channel is updated on a weekly basis. 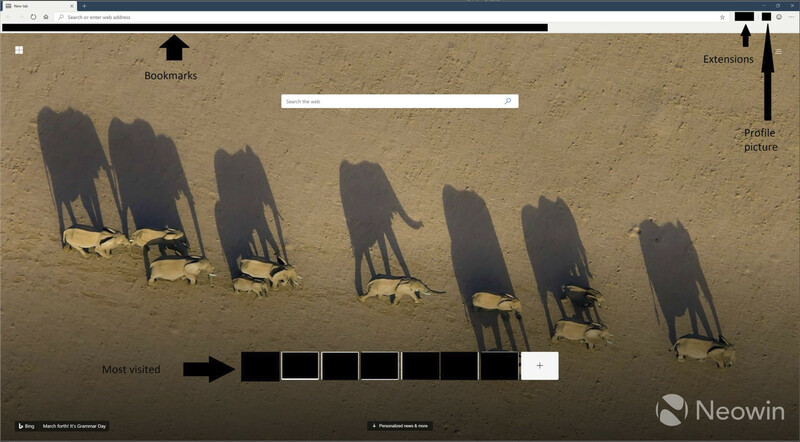 A new web browser is a welcome sight for Windows 10 users, as Edge failed to capture their attention. Chrome, Firefox, and Opera are still the most popular browsers. 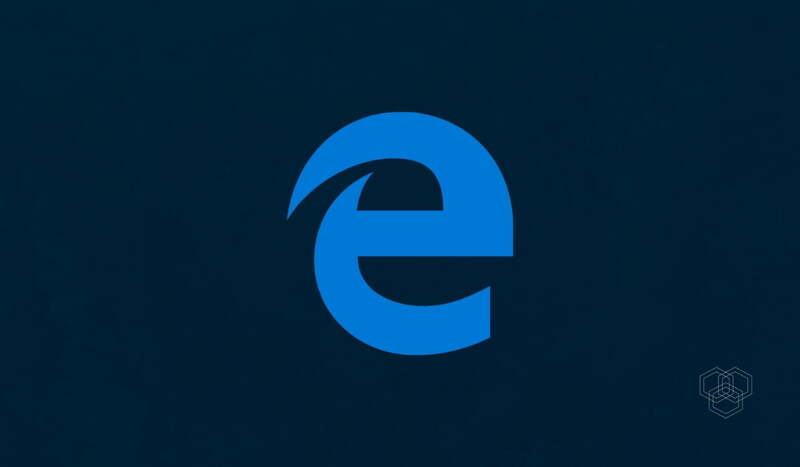 Microsoft hopes to create incentives for current Google Chrome users to migrate over to the new Edge browser. While there is no release date set, we can likely expect more details at this year’s Microsoft Build conference set to take place in May 2019.